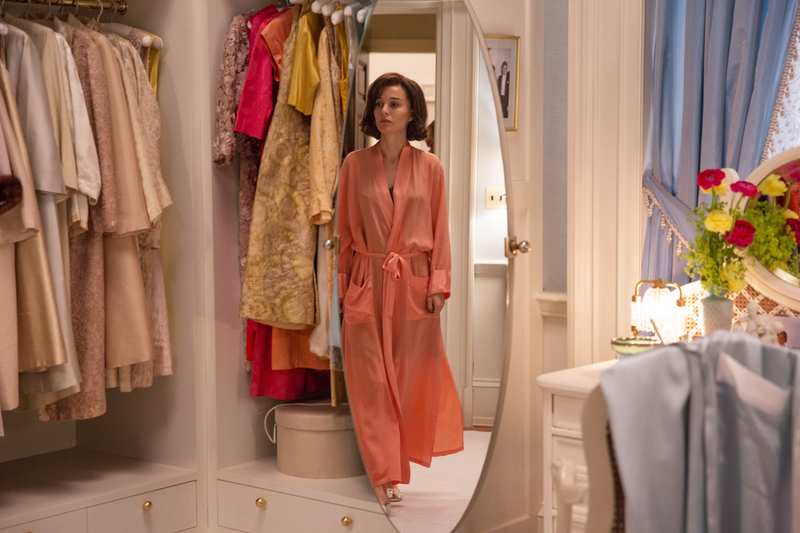 “Jackie” costume designer shares intel on styling Natalie Portman for iconic role as First Lady Jackie Kennedy. Jackie Kennedy Onassis is one of the most iconic First Ladies in history. From her elegant style and sophisticated demeanor to her penchant for languages–she spoke French, Italian and Spanish–the famous First Lady left a legacy that lives on, even today. The indelible impression she made on society is the zeitgeist of the 60s. She launched many style trends from strapless gowns and elbow-length gloves to her bouffant ‘do. Even pop culture reflected the ‘Jackie’ era with actresses such as Mary Tyler Moore emulating her look. But then all the regalia came to a screeching halt on November 22, 1963. If you were to ask anyone alive during that era what they were doing when President John Fitzgerald Kennedy was shot, they most likely can give you exact details of what they were doing, as well as their version of the tragic events of his assassination–where it happened, who did it, and why. But more compelling is the fact that what will forever be etched in our minds is the pink Chanel-inspired suit and pillbox hat that the First Lady wore on that fateful day. Jackie brought great style to 1600 Pennsylvania Ave. She is revered as American royalty and even at the end of her reign, she made a fashion statement–refusing to remove the bloodstained suit after her husband was shot. Little is known about what happened with the First Lady, her family, and the administration, in the days and weeks immediately following her husband’s death–until now. “Jackie” takes a poignant look at her last days in the White House and how the former First Lady carried out her final duties. Much of telling this riveting story is visual, from set design to costuming. 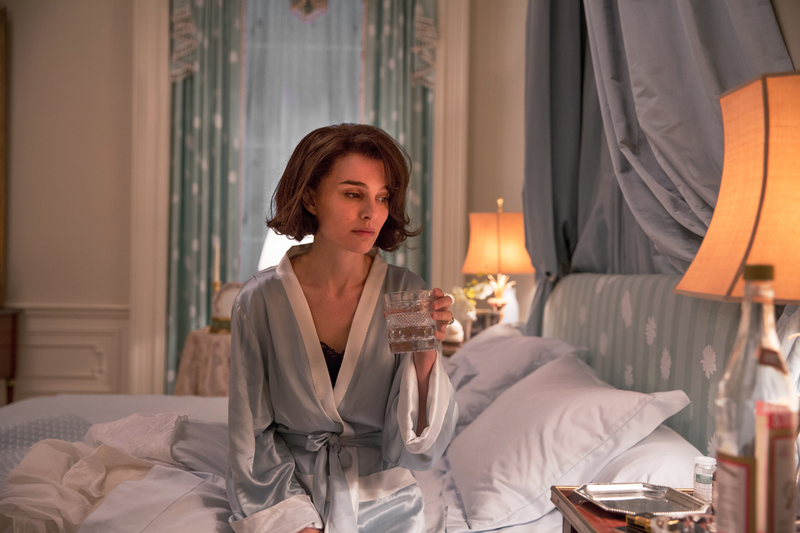 I recently caught up with the costume designer for the film, Madeline Fontaine, who described Jackie Kennedy and her innate sense of style as “very classic and beautiful and stuck true to herself.” In an exclusive interview, Fontaine shares intel on preparing for costuming the film and what it was like to style Natalie Portman for her intimate portrayal of the famous First Lady. On researching and preparing for this film. There was such an incredible amount of pictures of these people and events we had to go through to stick to reality as much as possible, and of course as ever to find the way to the period to make it true. We had access to a lot of pictures from her wardrobe–this family has been pictured so much. No big surprise, she really was a fashion icon, loved French designers, and had to deal with diplomacy, making the suits in USA, through a local designer Oleg Cassini. On designing and procuring costumes for the film. We found the places where we could gather vintage items and alter them to Natalie and for the film. Again there are so many images to help recreate the important pieces. We were able to gather many from couture houses. The costumes help transport you to that era and time and especially in this film where everyone knows many of Jackie’s iconic outfits. On the costumes used in the film. I made the one’s which had to stick to reality, to footages–color and black and white. We created the green one of Pablo Casals concert, styling it from what it really was…one black dress is from Dior. Some are vintage pieces coming from antique dealers that we altered. From all the places where we could find the proper ones, which is not yet obvious, we have much less possibilities nowadays, such a big amount of clothes being made far away–they are all coming from houses of couture. The quality of the fabric makes the difference. On the impact costumes have in telling a story. The costumes help transport you to that era and time and especially in this film where everyone knows many of Jackie’s iconic outfits. We had to be precise and stick as historically correct as possible. On how the modern woman can adapt Jackie’s style. Remain true to yourself and classic. *This film opens on different dates across the nation. Check your local listings to see where it is playing in your area.